Many people hear “innovation center” and imagine desks, bright walls, and all sorts of gadgets. And while they’re not wrong, our 20 years of building infrastructure to support entrepreneurs has consistently shown that it’s not just physical space that allows people to innovate better and faster — it’s the community within it. In other words, our meticulously designed spaces aren’t complete until they’re filled with the people they were designed for. CIC’s newest building, the third in the CIC Cambridge campus at 245 Main, reached true completion with a recent housewarming event for the building’s residents, their guests, and the broader CIC community in Massachusetts. This celebration marked the culmination of a multi-phase launch beginning in Fall 2018, and the start of CIC’s 20th year in Kendall Square, where the company was founded in 1999. CIC Founder & CEO Tim Rowe addresses guests at the 245 Main Housewarming. 245 Main first opened with three floors of coworking, office, and event space, alongside a public ribbon cutting ceremony for AGENCY: the CIC Global Longevity Collective on November 1. 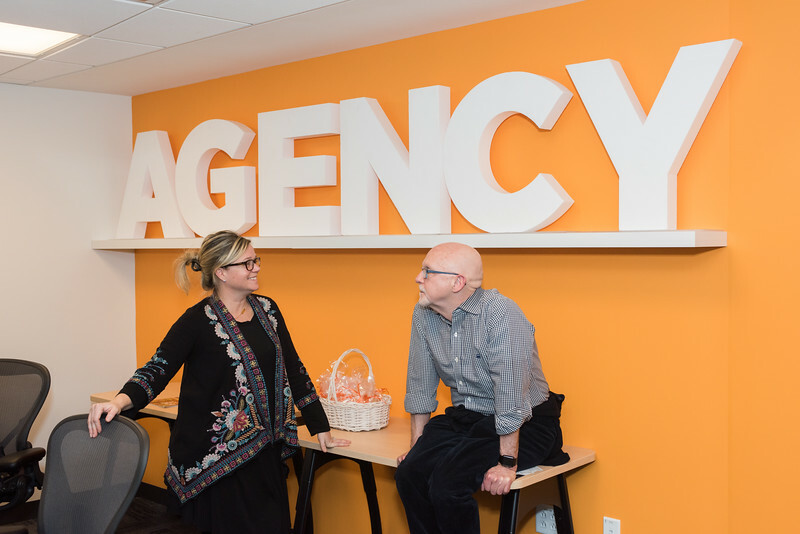 AGENCY shares a porous coworking space on the third floor with JPOD @ Boston, a healthtech industry hub powered by pharmaceutical company Johnson & Johnson. The side-by-side specialty coworking clusters allow aging-focused and healthtech companies to concentrate both with their own industry peers and to connect across sectors. The third floor of 245 Main also includes the Mosaic event space, which has already hosted dozens of events ranging from a workshop on how to use storytelling in biotech pitches to the inauguration of Innovation Center Denmark. Two additional floors opened in January, bringing CIC Cambridge’s total footprint to 300K square feet serving more than 700 companies. Housewarming attendees toured the space with CIC staff throughout the evening, ascending towards the 12th floor that features breathtaking views of the Charles River and Downtown Boston. View from the 12th floor at 245 Main. Meanwhile, over 400 guests filled the space that was brought to life through activations by CIC teams, member companies, and community partners including MassRobotics, CUBIC, and CIC’s nonprofit sister organization Venture Café. “We’re so excited to open our newest location, which feels like the front door of Kendall Square and CIC’s innovation campus,” says Alex Cheung, Community Leader at 245 Main.